I felt like the campaign came along at the perfect time of the year too because OBVIOUSLY everyone's more health conscious in January - Hello 'New Year New Me' crew - but also because nearly everyone I know is coming down with the dreaded lurgy! 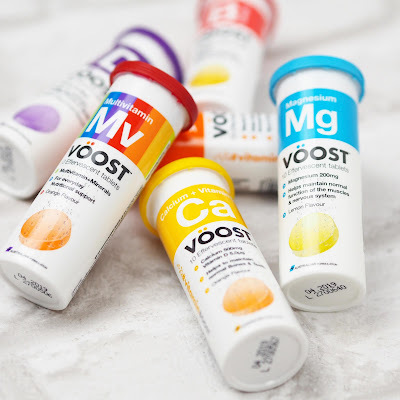 VÖOST is actually a brand that hails from Down Under and after doing amazingly well over there, it's made its way to our side of the pond. (Let's be real, if it's good enough for the golden goddesses that make up the majority of Australian women, then it's damn sure good enough for me!) 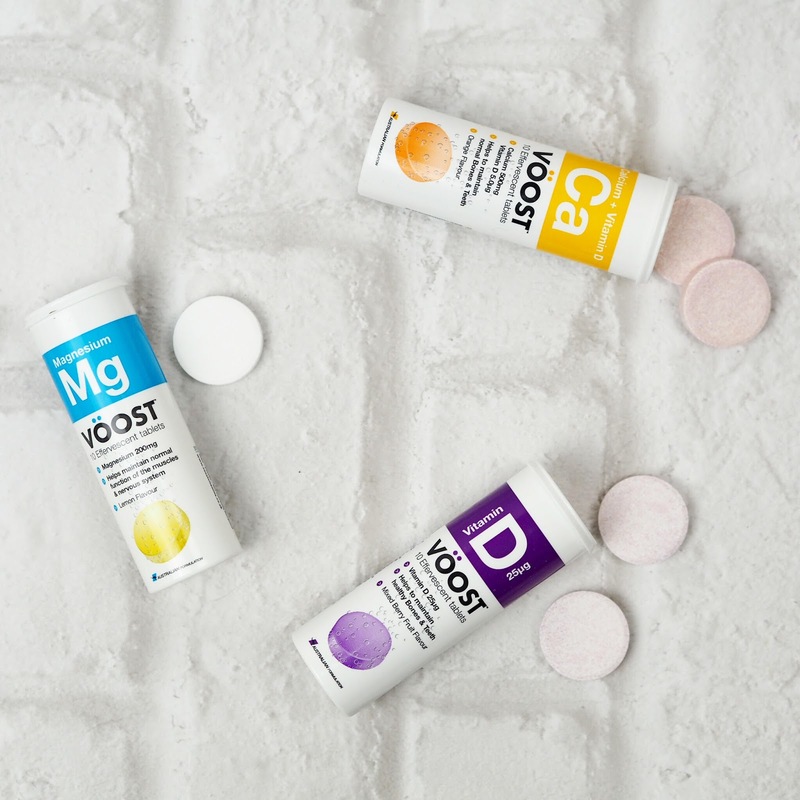 The idea for the brand came from a survey that said 35% of Australians couldn't swallow tablets, so were missing out on key nutrients. 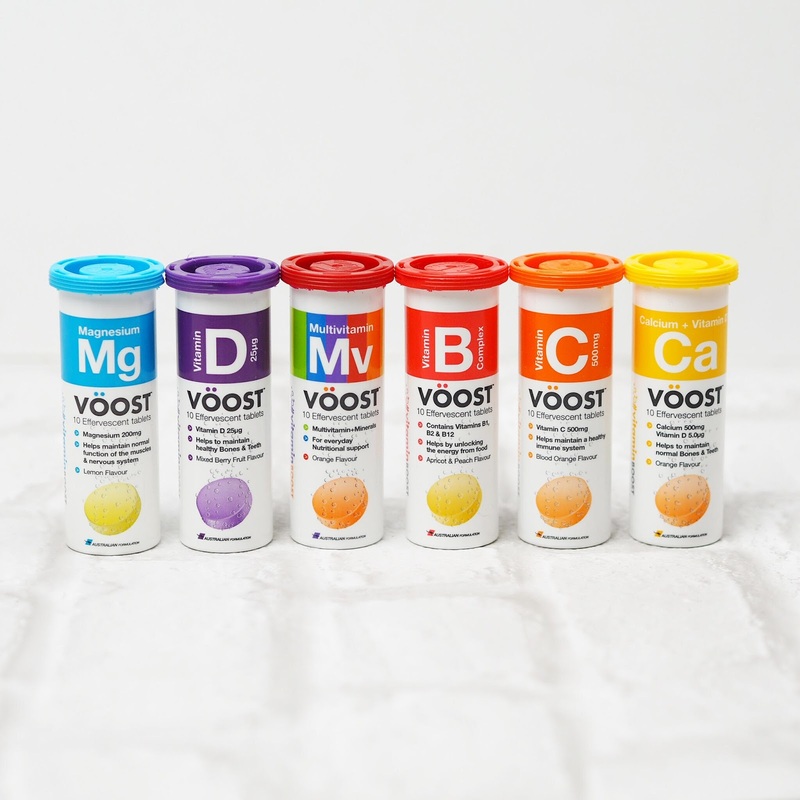 The clever guys at VÖOST then got their thinking hats on and started developing these ones, to make taking your vitamins easy AND yummy too! There are a variety of flavours in the range, from blood orange, to peach, to summer fruits! I actually think each and every one has a really pleasant taste and I've really been looking forward to drinking my vitamins every morning! (That sounds really sad doesn't it...) My dad actually has been drinking them when he thinks I'm not looking too, but I'm onto him! They are all quite sweet, but there's actually no added sugar or sweetener in the tablets. 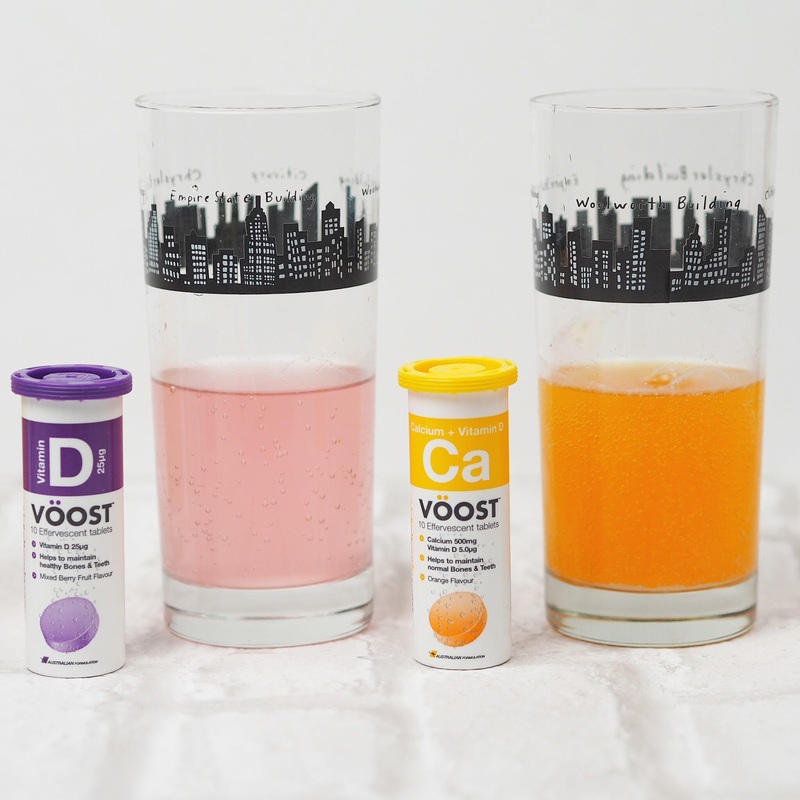 The only sugar present derives from fruit powder which helps give the drinks some colour. I feel like this is really important too, cause often the more "fun" chewable vitamins that are on the market and aimed at younger children are really high in sugars, which doesn't make them particularly healthy! I think these are a great alternative as there are no naughty ingredients hidden behind the goodness! They're a really good size, so I've been keeping a couple of tubes of these in my drawer at work, and when I've been feeling a little lacklustre, I've dissolved one of these into my sippy cup full of water (I know, so mature right?!) and it just gives me a little bit of fizz back into my day! I try to take Vitamin B12 fairly regularly as it's so important for a healthy immune system, but unfortunately I'm pretty darn useless at taking tablets. (I can never remember if I've actually taken them or not!) 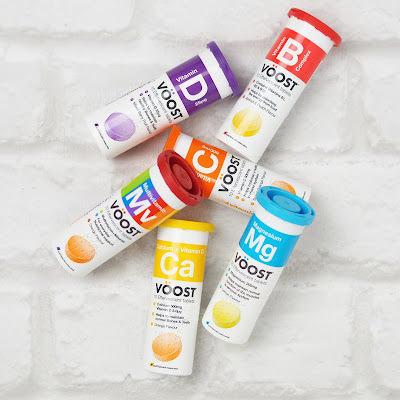 However since I've started taking VÖOST I've not forgotten once, cause I actually enjoy the process of sipping on the refreshing little lemon drink mid morning at work! I'll definitely be continuing to take the Vitamin D tablets throughout Winter and potentially Spring too, as like the majority of people I'm sure, having an office job and living in gloomy old England means we really don't get enough sun! 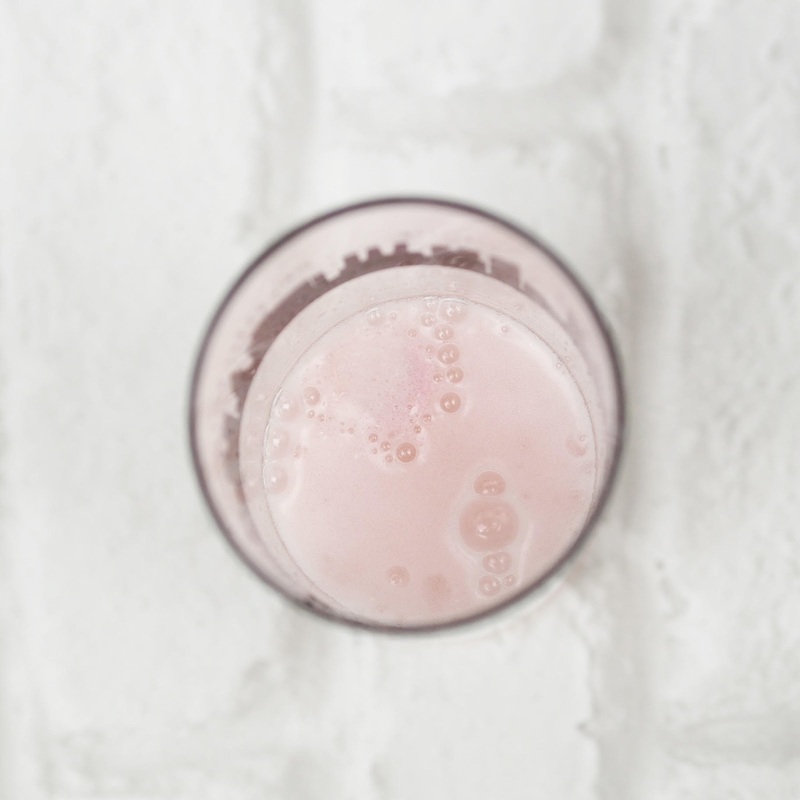 So many people actually have extremely low Vitamin D levels, which is one of the most common contributors to Depression and Anxiety, and not enough of us realise the importance of Vitamin D for the body. Each tube of VÖOST comes with 10 tablets in and retails for £2.99 (Although at the time this post went live, they'd gone down to £1.50 at Superdrug!! But they're selling out so you better hurry!) 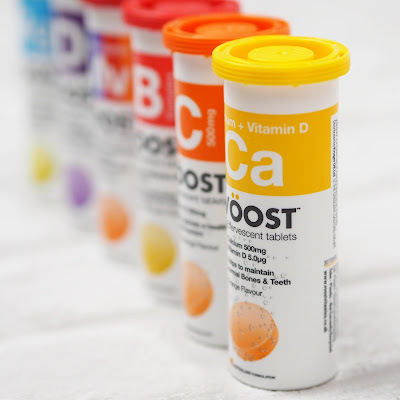 Regardless if you manage to bag these whilst they're on offer or not, I think they're a really reasonable price, and the choice of Vitamins - and flavours - on offer is the best I've seen compared to any other Vitamin brands out there. Thanks SO much for reading your Dose of Fizz!